Transition Design argues that the social, economic, political and technological systems upon which society depends must transition toward more more sustainable futures. Seeding and catalzying change within complex systems will require a deep understanding of the nature of change itself—how it manifests and how it can be intentionally directed. Transition Design is centrally concerned with Theories of Change — how and why societal systems change or remain inert, and how such change manifests and can be catalyzed and directed towards desirable and sustainable futures. Theories of Change is a key area within the transition design framework for three important reasons 1) A theory of change is always present within a planned/designed course of action, whether it is explicitly acknowledged or not; 2) Transition to sustainable futures will require sweeping change at every level of our society; 3) Conventional, outmoded and seemingly intuitive ideas about change lie at the root of many wicked problems. Readings for this class include several theories of change from fields and disciplines outside design. Transition Design proposes that in order for designers to act as agents for change, new approaches to design and problem solving must be based upon a deep understanding of the dynamics of change within complex social and natural systems. Because any planned course of action (design) is based upon an assumption about the correct approach for intervention, we are almost always basing our design upon assumptions and predicted outcomes. Often, these assumptions and predictions that form the basis of this action are unconscious or are not clearly articulated/considered because the nature of change itself has not been adequately understood by designers, nor has it been viewed as an important area for study and research. The dominant, mechanistic paradigm views change as something that can be “managed” through centralized, top-down design processes that produce clear, predictable outcomes. This type of linear, cause-andeffect thinking has influenced the design and development of societal infrastructures and policies in the developed world and has contributed to many of the global wicked problems previously mentioned. However, a new transdisciplinary body of knowledge related to the dynamics of change within complex systems is emerging that challenges these assumptions and has the potential to inform new approaches to design and problem solving. Ideas and discoveries from a diversity of fields such as physics, biology, sociology, and organizational development have revealed that change within open, complex systems such as social organizations and ecosystems manifests in counterintuitive ways. And, although change within such systems can be catalyzed and even gently directed, it cannot be managed or controlled, nor can outcomes be accurately predicted. Theories of Change within the Transition Design framework are proposed as a continually co-evolving body of knowledge that challenges designers to become lifelong learners who look outside the disciplines of design for new knowledge. These new knowledge sets inform a Transition Design approach as opposed to a prescriptive, linear and templatized process. This seminar endeavors to teach these principles which can inform place-based/ situation-specific action connected to systems-level change. Think of a solution you have designed and try to identify what your implicit theory of change was. What assumptions about change was your design based upon? In what ways would explicitly identifying a theory of change be useful? How can theories of change or ideas about how change manifests from other fields and disciplines be useful in designing for transition? Have you ever explicitly identified a theory of change as part of your design process? How does a theory of change relate to design research? Can you imagine using theories of change explicitly as part of your design process? Reeler, Doug and Van Blerk, Rubert. 2017. The Truth of the Work: Theories of Change in a Changing World. Cape Town, South Africa: Community Development Resource Association. Hoffman, Andrew. 2016. What is Your Theory of Change? The Huffington Post Business. Transition Design argues that entire societies must transition to more sustainable futures. This means that society’s infrastructures, or what is referred to ‘socio-technical systems’ will need to undergo radical (systems-level), long-term change. Socio-technical systems are TANGLES of living and designed/mechanistic systems in which technology plays an ever-increasing role. They are bound up in complex webs of relationship (interactions between people and and physical artifacts and infrastructure) that become ever more dense and entrenched over time. Socio-Technical Regime theory studies how historical socio-technical transitions have taken place (such as the transition from horse-drawn carriage to the automobile) in order to understand how “systems interventions” can be made that intentionally re-direct societal transitions toward more sustainable futures. Via historical case studies, entire cycles of transition are analyzed as a way of understanding the patterns and mechanisms that underlie large-scale systems change and societal transitions. Socio-technical transition theory views social systems through the lens of complexity theory, focusing on the non-linear-dynamics of socio-technical systems. Principles that govern dynamic, complex adaptive systems are include: non-linearity (cause and effect of systems connected to each another via multiple feedback loops, which makes it impossible to predict the consequences of designed disturbances or interventions); co-evolution (systems change and transition together via their habitual, prolonged interactions); holarchic structure/nested scaling (systems exist at multiple levels of scale, with the higher the levels comprised of aggregated components which makes relationships more complex and dynamic/change slower): emergence (new structures and behaviors arise out of, but are not reducible to, the self organizing dynamics of the parts of systems) and sensitivity to initial conditions/chaos theory (small interventions ramify throughout the systems and can have disproportionately and unpredictably large consequences). Socio-technical researchers have developed a multi-level framework for understanding how change manifests at multiple levels of scale within these complex systems. The MLP framework describes three distinct systems levels in which events unfold, infrastructure and artifacts arise, and webs of interaction occur: the macro (the Landscape), the meso (the Regime), and the micro (the Niche). These interactions are social, technical, institutional, infrastructural and normative and the networks of relationship between systems levels (and their various actors/factors) become progressively more “entrenched” and resistant to change as their scale increases. Eventually large systems become “locked in” to a particular trajectory or transition pathway. At the Landscape level, the societal landscape is determined by changes in the macro economy, political culture, demography, natural environment, and worldviews and paradigms, which are usually slow moving and resistant to change. Its seismic undercurrents can play an important role in speeding up or slowing down a transition, but its geology is for the most part unyielding. The Regime level is comprised of the social norms, interests, rules, and belief systems that underlie strategies of companies, organizations, and institutions as well as politics and governance (policies). At this infrastructural level, system dynamics are determined by dominant practices, rules, and shared assumptions that are most geared towards optimizing rather than transforming systems. The Niche level is comprised of individual actors, technologies, and local practices. Variations to and deviations from the status quo can occur as a result of new ideas and new initiatives, such as new techniques, alternative technologies, and social practices. “Incubation” is a term often used to describe how innovative, risk-taking experiments are protected from regime norms and have the opportunity to take root and sometimes destabilize the Regime. What is the relevance of sociotechnical regime theory for design and designers? Speculate on how understanding historical socio-technical transitions could serve as the basis for strategic ‘systems interventions’ (design solutions, projects, initiatives). Can you identify shifts and changes occurring at the landscape level that open up opportunities for projects and initiatives at the niche level? Can a seemingly negative/problematic or even catastrophic event at the landscape level open up opportunities at the niche or regime level? Does this work in reverse? Is one level of the MLP better suited than others for design interventions? What experiments at the niche-level are currently in process? Which ones have the potential to positively disrupt the regime? What might the future trajectory look like? How could opportunities at the landscape level be leverage to amplify the transition? How could the MLP complement/supplement traditional problem finding/framing/solving? In what ways are the MLP and Social Practice Theory complementary? How can they supplement traditional design practice and research? Tonkinwise, Cameron. 2015. Transitions in Socio-technical Conditions that Afford Usership. Unpublished article on Academia. Researchers have been studying and documenting the ways in which historic socio-technical transitions have happened as a basis for intentionally seeding and catalyzing intentional societal transitions toward more sustainable futures. This class will look more closely at the nature of how transitions happen within socio-technical systems and discuss the ‘typologies’ of socio-technical transitions in order to understand the contributing factors and events at different levels of scale (the landscape, the regime and the niche). Several distinctions of types of change and the way in which different transition ‘pathways’ evolve will be examined including: 1) the timing of interactions; 2) the nature of interactions; 3) types of landscape change. This class and the previous one form the foundation for Assignment #2: Mapping a Socio-Technical Transition, which will be assigned and discussed in this class. See Additional Resources for this class before you begin the readings and Assignment #2 in the Assignments section of this website. Geels, Frank W. and Schott, Johan. 2007. Typology of Sociotechnical Transition Pathways. Research Policy 36. pp 54-79. Seyfang, Gill. 2012. Understanding Sustainability Innovations. In Science, Society and Sustainability. Twomey, Paul and Idil Gaziulusoy. 2014. Review of System Innovation and Transitions Theories. VP2040 Foreground paper. Assignment 2: Mapping a Socio-Technical Transition will be introduced in the last 20 minutes of class. As homework, teams should review their research (and conduct additional research if needed) to ensure that they have identified events, changes in social norms, beliefs, practices, technological developments etc. that have contributed to the rise of the wicked problem they have been working with during the semester. Team will use the next class period to work on Mapping a Socio-Technical Transition in which their wicked problem is implicated. Refer to Assignment #2 for more details. The context for all wicked problems (including the ones addressed in the course assignments) are socio-technical systems. Framing a wicked problem within an MLP context is useful for several reasons: 1) it aids in understanding the historical evolution of the problem, which is essential in identifying and addressing root causes (which always exist at multiple levels of scale); 2) it is useful in identifying both intractable, entrenched areas within the system and opportunities for disruption (often incubated at the niche level, but large events at the landscape level can open up opportunities at lower levels); and 3) it provides a large enough context to reveal connections and interdependencies among other wicked problems that can inform strategies for more powerful interventions aimed at exponential change (i.e., killing two birds with one stone). 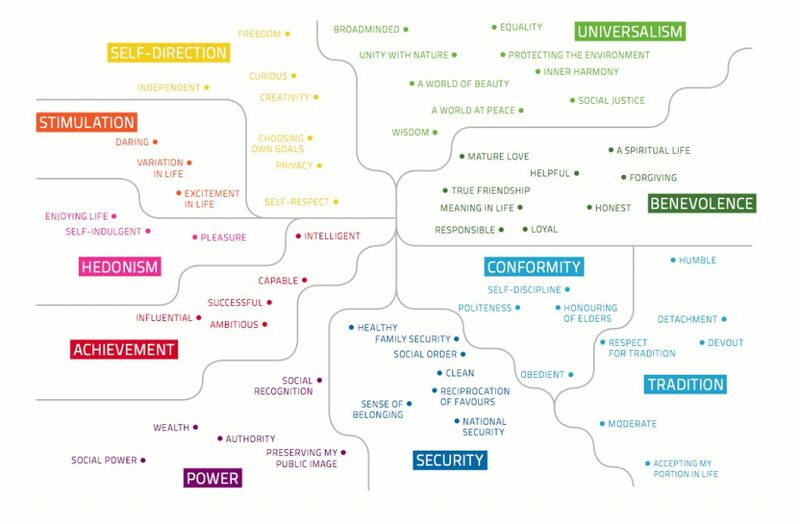 “Reading” the social-technical terrain with the MLP can reveal what systems theorist Donella Meadows called “places to intervene in a system.” Although the MLP has drawbacks (such as it lack of emphasis on social dynamics and granular practices that contribute to systems inertia) it is nevertheless a useful way of understanding the connections and dynamics among multiple wicked problems within a large spatio-temporal context, which is a crucial precursor for designing interventions at multiple levels of scale. Assignment #2: Using the large project canvas provided, Teams will use the entire class period to map a socio-technical transition that forms the context for their wicked problem (teams will need to access their research on their wicked problem during class). This assignment asks you to ‘map’ the historical socio-technical transition within which your wicked problem began to grow and become wicked. What were the large and small events, conditions, etc. that formed the early roots of the problem and what caused it to become worse? We suggest teams begin to work first with post-its and reference their research. Additional historical research may be required to complete the assignment. Teams will present their work in progress during the last 20 minutes of class for feedback and will submit the assignment on the Team’s Medium site. It is crucial that you refer to Assignment #2 on the website for more details. Teams will complete the assignment in analog form, using the canvas and then take a hi-resolution photo of it to include on the Medium site. Submit the final project canvas to the Design Office at the conclusion of the assignment. Speculate on how easy or difficult it was to trace a socio-technical transition using the MLP. Could you imagine using it as a design strategy? Was your team able to think in terms of technology transition? Does it feel like a skill that you might get better at? Does our habitual way of thinking in short horizons of time impede our ability to see transitions in hindsight and follow a trajectory into a probable future? What techniques/approaches need to be developed to take into account how social norms and belief systems shift over time and the way in which they influence transitions? In what ways might working with the MLP enhance or conflict with traditional, more established design approaches? One of the root causes of wicked problems is the dominant economic paradigm that is predicated upon the maximization of profit and unbridled growth on a finite planet. The transition to more sustainable futures will require the development of new kinds of equitable and integrated economic systems in which most of people’s needs can be satisfied locally, although some will rely on global networks. In this class, several alternative economic approaches are discussed that place concern for people and planet on an equal footing with profit. Transition Designers must be aware of the ways in which the dominant for-profit paradigm impedes the ability of societies to transition to more sustainable, place-based lifestyles and they leverage an understanding of alternative economic models to conceive more sustainable solutions. In this class, Jonathan Chapman will discuss the concept of Circular Economics which looks beyond the current “take-make-dispose” extractive industrial model and attempts to redefine what we mean by growth, focusing on positive, society-wide benefits. Our current industrialized model of production is based on a linear, one-directional flow or resources and value—essentially, a straight line, with in-built social and environmental destruction at either end. The circular economy takes both ends of this line and bends them round to form a loop. From a design perspective, this shift in thinking changes everything. Circular economies involve decoupling economic activity from the consumption of finite resources, and designing waste out of the system. Underpinned by a transition to renewable energy sources, the circular model builds economic, natural and social capital. It is based upon three main principles: 1) design out waste and pollution; 2) keep products and materials in use; 3) regenerate natural systems. In the circular economy there’s no such thing as waste; just stuff in the wrong place. Why are industrialized economies predominately linear; how did it get this way? How has design deepened our attachment to wasteful, linear modes of production and consumption? Might a circular economy afford new ways of collaborating, sharing and commoning resources? What would everyday life be like within a truly circular economy? What are some of the design challenges in transitioning from a linear economy to a circular economy? How might a circular economy enable a reconnection with a local economy? Is it possible to have a thriving economy based upon cooperation and sharing rather than competition? What are some of the ways in which everyday life would change? How would it change the way designers work? What are the advantages of a local economy? Is it possible to meet most of our needs locally? Ellen McArthur Foundation. 2017. Cities in the Circular Economy: an Initial Exploration. Cowes, UK. In this class, Assistant Professor of Architecture at CMU, Stefan Gruber will introduce the concept of “Commoning” as social practices for managing shared resources, forming complex socio-ecological systems which must be consistently stewarded, reproduced, protected and expanded. Commoning is a process of negotiating differences and conflicts, as to constitute common interests between individuals, communities, and society at large. A process that involves the spatial organization of the relationships between production and reproduction, ownership and access. A process in which solidarity networks are created and individual and collective rights are redefined. This project questions prevailing social and political structures and searches for new forms of collective, yet pluralistic governance. In what ways does design contribute to encourage or discourage practices of commoning? What are the main differences between the dominant, ‘for profit’ paradigm and the alternative models discussed in the readings? What would an economy based upon cooperation rather than competition, and a framing of prosperity based on well-being rather than growth look like? What are some of the ways in which everyday life would change? How would it change the way designers work? How will the shifts from ownership to access, but also from productive to reproductive work affect society at large and design in particular? How will these shifts redefine the notion of the individual, community and society, and their respective relations? How might an increased importance on ‘the commons’ affect design solutions and design methodologies? What is the role of the designer in drawing together matters of concerns, rather than mere matters of facts, and help articulating individual interests in such a way as to constitute common interests? What would it mean for designers to embrace differences, even conflict, as inherent to the political project that is design? An Architektur. 2010. On the Commons: A Public Interview with Massimo De Angelis and Stavros Stravrides. In e-flux. Issue 17, 06/2010. Michel Bauwens et al. 2017. A Commons Transition Primer. The Peer2Peer Foundation. Accessed March 2019. Stavros Stavridis. 2016. Common Space: The City as Commons. London: Zed Books. Conclusion: Reinventing the City through Commoning, pp.259-273. Transition design focuses on everyday life (in place) as the primary context for intervening in wicked problems. Everyday life can be understood as an emergent property of people going about the activity of satisfying their needs. This means that understanding how people define their needs, and go about satisfying them (or failing to do so) is a key strategy for developing sustainable solutions and effective systems interventions. It has usually been assumed, amongst economists and philosophers, that the range of human needs is infinite. Additionally, most economists have focussed more or less exclusively on tangible, material needs, ignoring our many intangible and non-material needs. These assumptions have been used to justify continuous economic growth, which is assessed solely in quantitative (rather than qualitative) terms. Yet, we are now seeing, this growth is not only failing to meet our needs but it often undermines our capacity to do so, that is, it is unsustainable. By contrast, the Chilean development economist Manfred Max-Neef’s theory of ‘needs and satisfiers’ proposes that needs are few, finite and universal. He identifies ten material and non-material needs (subsistence, freedom, participation, protection, affection, understanding, leisure, creation, identity, transcendence). However, the ways in which these needs are met (what we eat, how we build, how families are raised, how livelihoods are earned, how communities are managed, how spiritual and religious practices are arranged, how leisure time is spent etc) are highly contextualized, unique to era, culture, geographic location, age and mindset. Max-Neef argues that in both ‘developed’ and ‘undeveloped’ parts of the world there are multiple kinds of poverty, each corresponding to an inadequately satisfied need. In the West, whilst subsistence needs may be adequately satisfied, our non-material needs often go unaddressed. In the modern era the satisfiers for needs have often been appropriated by large centralized organizations such as the nation-state or multi-national corporations. Such satisfiers are decontextualized — that is, they are owned, managed and controlled in ways which disembed them from the communities who depend on them. They are also often commodified — whereas once many satisfiers would have been freely available or collectively owned, under industrial capitalism, and particularly under globalization, they are made available only through market transactions. Myriad anthropological and historical studies have demonstrated that communities that are in control of the satisfaction of their needs (that is communities that are self-organizing and semi-autonomous) are more likely to be sustainable (socially, culturally, ecologically) than communities for whom satisfiers are externally controlled. In such self-organizing communities, satisfiers can be designed and adapted for particular places, cultures, and ecosystems. When satisfiers are embedded in the everyday lives of communities (contextualized), they can become not only place-appropriate but can be integrated in ways that enable them to simultaneously satisfy multiple needs. When food is grown locally and farmland held in common, for example, it not only contributes to the satisfaction of the subsistence need, but can also help develop bonds of community (affection), foster engagement in civic affairs (participation) and contribute to the development of more independent communities (freedom). Food grown by agribusiness and globally traded may address subsistence needs (in the short-term), but is unlikely to contribute the satisfaction of other needs. An important aspect of transition design is therefore to help communities regain control, management and ownership of the satisfiers for their material and non-material needs, and to help them redesign and contextualize satisfiers so that they are more integrated and place-based. To put it another way, transition design should help communities become more self-organizing and have greater political and economic autonomy. How is Max-Neef’s theory of ‘needs’ different than more well known theories such as Maslow’s theory? How is the difference significant? What possibilities for design does it open up? What are some examples of needs satisfiers that are inappropriate, misconceived or ‘counterfeit’? How can the distinction between genuine needs and wants/desires be relevant to designers and design process? How might design problems be framed differently if the primary context was everyday life? Discuss how the same problem, framed first using traditional design approaches and secondly using everyday life as the primary context, lead to different solutions? Does framing problems and solutions within the context of everyday life and lifestyles have implications for user-centered design and research? Discuss what is meant by the argument that everyday life is an emergent property of people meeting their needs? Speculate on the relationship between needs satisfaction and everyday life. How are Max-Neef’s concepts of pseudo-satisfiers and counterfeit satisfiers connected to wicked problems? In what ways can design for integrated satisfiers become part of sustainable/transition design process or strategy? Is designing for integrated satisfiers inherently more sustainable? Can the distinction between genuine needs/integrated satisfiers become a way of critiquing design solutions to ensure they are sustainable? Irwin, Terry. 2011. Design for a Sustainable Future, In Hershauer, Basile, and McNall (eds), The Business of Sustainability. Santa Barbara: Praeger. The design of products, services, environments and systems plays an important role in affecting what people do, now and in the future. Many visions of transitions to sustainable futures assume large-scale changes in human behavior; first arising in programs around energy efficiency and recycling in the 1970s and 80s and coming into wider public and political awareness since the Rio Earth Summit, sustainability researchers have tried to establish how best to encourage people to live in more sustainable ways. While Social Practice Theory considers everyday activities at the level of constellations of devices–skills–meanings, design can also engage practically at the level of people’s interaction behavior in context. In recent years, research on behavior—and behavior change—from areas of social and cognitive psychology, health psychology, behavioral economics, decision science, human factors, and other fields has been adopted within design, variously known as design for behavior change, behavioral design, persuasive technology, ‘nudge’ design, or in the case of specific focus on sustainability, design for sustainable behavior. There are a variety of insights from different disciplinary perspectives which can be explored and applied within the context of people’s attitudes, behaviors, motivations, understanding, imaginaries and framing, for example via ‘design pattern’ collections. From a Transition Design point of view, it is important to understand that each approach taken necessarily embodies particular assumptions about human nature, values, culture, the structure and homogeneity of society, and the distribution of agency and power. Critiques of much behavior-focused work center on its ethics, its over-emphasizing of individualized decision-making (at the expense of social and contextual factors), particular definitions of rationality, under-emphasizing structural constraints, and a narrow determinism often founded in a modernist perspective. Thinking about an everyday behavior, how does design affect what you do? Thinking about a time you have changed your behavior, what factors affected you? Are you motivated by knowledge, values, capacity, life-stage or community?What types of behavior/psychology support or inhibit change/transition toward sustainability? Pick a ‘behavior change’ measure or program you are aware of. What assumptions about people are embodied in the approach? What ideas about society and humans are reinforced or challenged by promoting particular models of change? Why might it not be enough to appeal to people’s ‘better nature’ when advocating sustainability/transition measures? Lockton, Dan. 2017. Design, behaviour change, and the Design with intent toolkit. Gower, Farnham. Lockton, Dan. 2014. As We May Understand: A Constructionist Approach to ‘Behaviour Change’ and the Internet of Things. Medium. Lockton, Dan. 2012. Attitudes, meaning, emotion and motivation in design for behaviour change. Working Paper. Transition Designers must develop a deep understanding of the dynamics of change within complex social systems—how change can be seeded, catalyzed and influenced within such systems, and why these systems are so often inertial. Societal organization and structure need to be understood at a granular level — the ‘software’ of everyday life (habits, practices, beliefs, values) as well as the ‘hardware’ (technologies, infrastructures, the built environment). Each element in this complex and dynamic system represents a potential point of intervention and opportunity for transition. Social practice theory attends to the multiplicity of ‘little pictures’ of everyday life, taking the ‘practices’ of people, as Shove and Walker say, “as the unit or focus of attention”. According to practice theory, social order and change emerge out of dynamic, recursive and mutually influencing relationships — in the form of habitual or semi-habitual ‘practices’ — between social structures and systems, on the one hand, and human action and agency, on the other. It is through such practices, day after day — bathing, eating, driving, dressing, shopping and so forth — that people sustain themselves and hopefully thrive, but also contribute towards various social and environmental ills. Practice theory focuses on the cycle of emergence, development, diffusion and decline of practices. In the analysis of Shove et al, the elements of any given practice are ‘materials’ (artifacts of all kinds), ‘competencies’ (skills, know-how and techniques) and ‘meanings’ (aspirations and symbolic ideas). A practice has the potential to change when any of these elements (or the relationship between them) alters; practices can therefore potentially be steered in more sustainable directions by changing the elements of practice. This approach could become a powerful tool for transition designers in their efforts to bring about systemic change in everyday life. Social psychology, particularly in the values and frames approach, argues that that any effort to address what are referred to as ‘larger-than-self’ problems must be informed by a corresponding change in values: facts alone are unlikely to generate the necessary motivation, urgency or engagement. Based on the extensively researched and validated work of Shalom Schwartz, values are constellated into complementary groups; developing a value in one such group will foster the development of other values in the same group, and also values in adjacent groups. These groups are classified as intrinsic values (eg benevolence, honesty, friendship) and extrinsic values (eg authority, wealth, social power). It is argued that to address sustainability issues it necessary to cultivate instrinsic values in society at large which will lead to a corresponding decline in extrinsic values. Conversely, whilst it may be feasible to attempt to address isolated issues by appealing to extrinsic values (as has been the strategy of many campaign groups), it is likely that this will ultimately undermine collective longer term motivation for moving towards sustainability. The cultivation of intrinsic values, through civic discourse, public education etc, may be a short cut to simultaneously bringing about the attitudinal/value changes necessary to address a great variety of social and environmental issues; in focussing on facts alone, only one issue can be addressed at a time. Cognitive science has demonstrated that values are ‘bundled’ into frames, which are usually ‘seeded’ by metaphors. Any given frame represents a system of values that motivate and pertain to different aspects of our lives – personal, social, political, economic, existential. Frames develop through our daily interactions, education, upbringing and other life experiences. They can be active or dormant at different times, but can also be deliberately cultivated, reinforced and triggered. This phenomena has been particularly well understood and utilized in recent decades by right-wing think tanks, media and politicians. These have woven socially and environmentally regressive narratives/agendas around frames comprised of extrinsic values. In addressing wicked (larger than self) problems, transition designers need to understand how groups of similar values constellate, and how values within such constellations activate each other; to understand the push and pull between extrinsic and intrinsic values; and to understand how to catalyze the development and activation of value frames that are conducive to addressing wicked (larger-than-self) problems. Why are social practices considered to be ‘inertial’? How can designers leverage social practices in developing transition solutions? How does social practice theory relate to, supplement or run counter to user-centered design approaches? Speculate on how a particular practice or set of practices might be an opportunity for a transition design intervention or solution. What is the relationship between social practices and the satisfaction of needs? Is there an overlap between social practice theory and social psychology? How, if at all, do they inform each other? How might a change in practice influence a frame, and vice versa? Are ‘larger than self’ problems that the values and frames approach focuses on always ‘wicked’? Are wicked problems always ‘larger than self’? Do you agree that values, not facts, are the primary motivators for change? If so, why? Can you think of a ‘frame’ that influences you? Is it informed by a metaphor? How might a transition designer go about influencing a commonly held frame? What are the dangers of trying to do this? Public Interest Research Centre. 2011. The Common Cause Handbook. Machynlleth, Powys. Strengers, Yolande. 2001. Conceptualizing Everyday Practices: Composition, Reproduction and Change. Working Paper.